Our son just started golfing this season. so this personalized ornament is just right for his family Christmas tree. 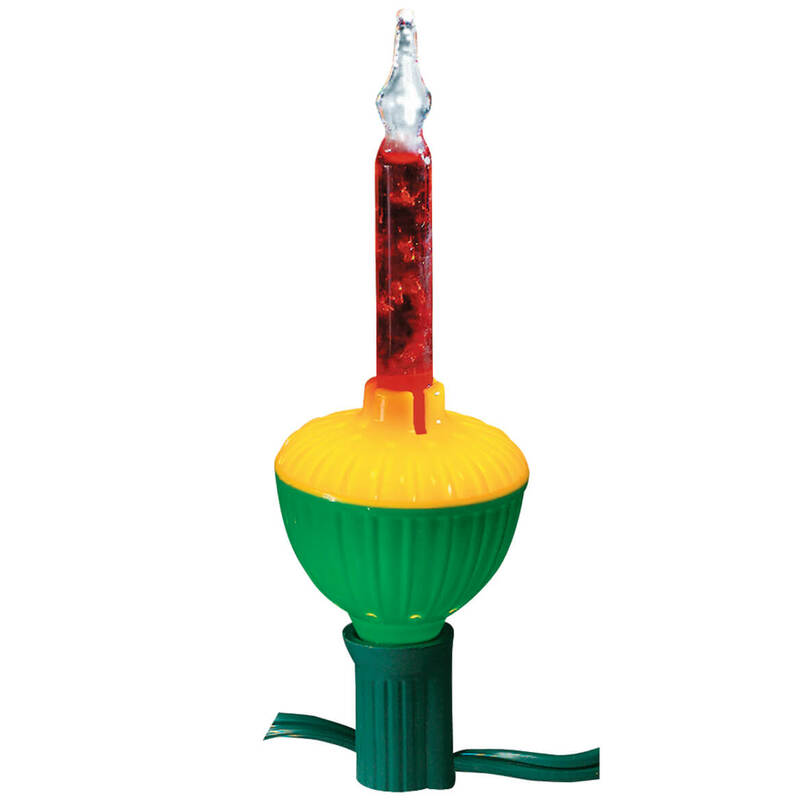 I bought this for my brother-in-law who loves golfing. This is so nice! 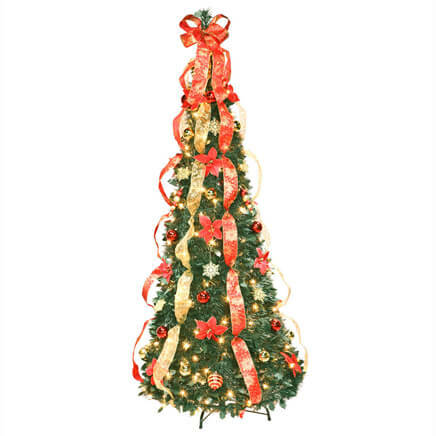 I have bought 5 ornaments from here and the quality of all of them are superb! Would highly recommend any of them! Another ornament for my golf tree. Chosen for my new son-in-law who is an awesome golfer. My high school granddaughter is on golf team. Both of my Grandsons started golfing this year. I buy them an ornament every Christmas. wanted christmas ornament with the year for a high school student that was active in sports. Got this for my sister-in-law who loves golf! 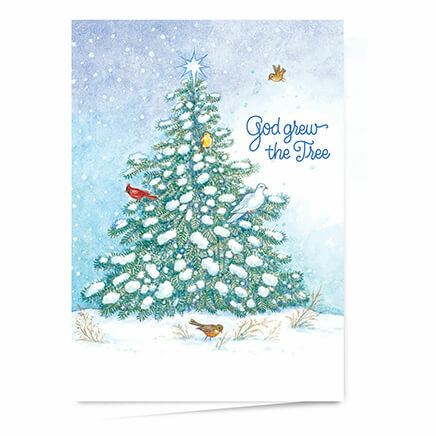 cute, economical and I know it will be something that will be used each Christmas and bring back fond memories. My daughter plays golf and she loves it. This ornament will be a yearly reminder of her fun times with her Golf Team. My step dad likes golf. 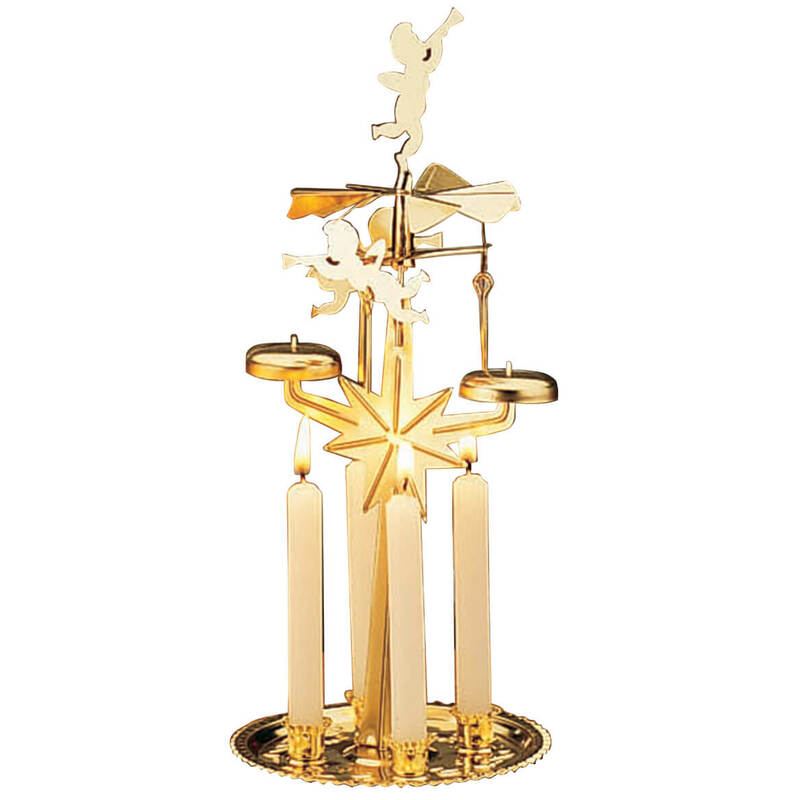 Every year we purchase our Christmas ornaments from Miles Kimball because of their wonderful quality and their huge selection from which to choose. 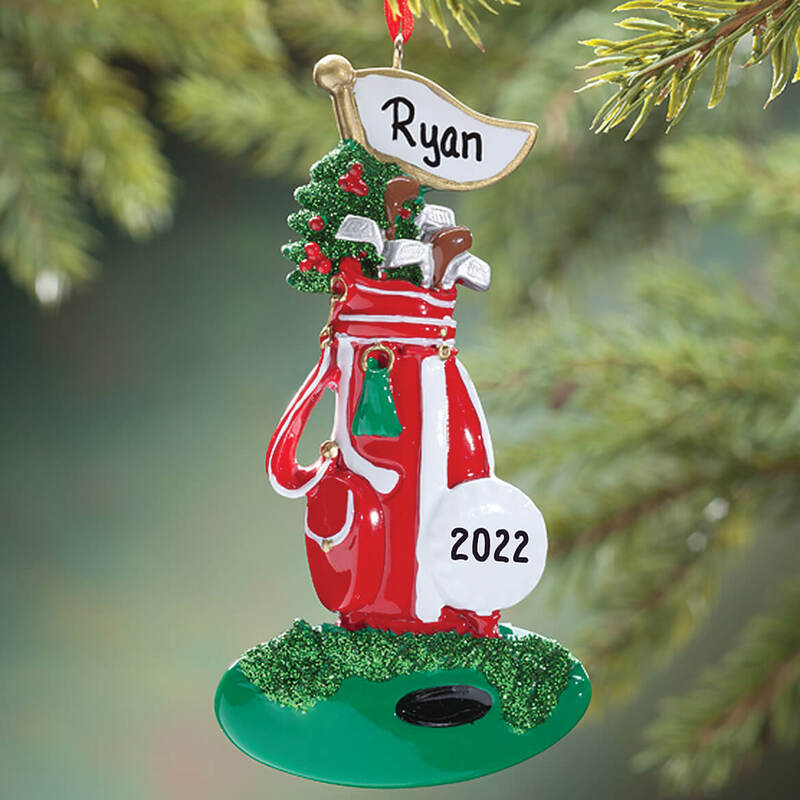 This golf ornament is perfect for one of the golf lovers in our family. 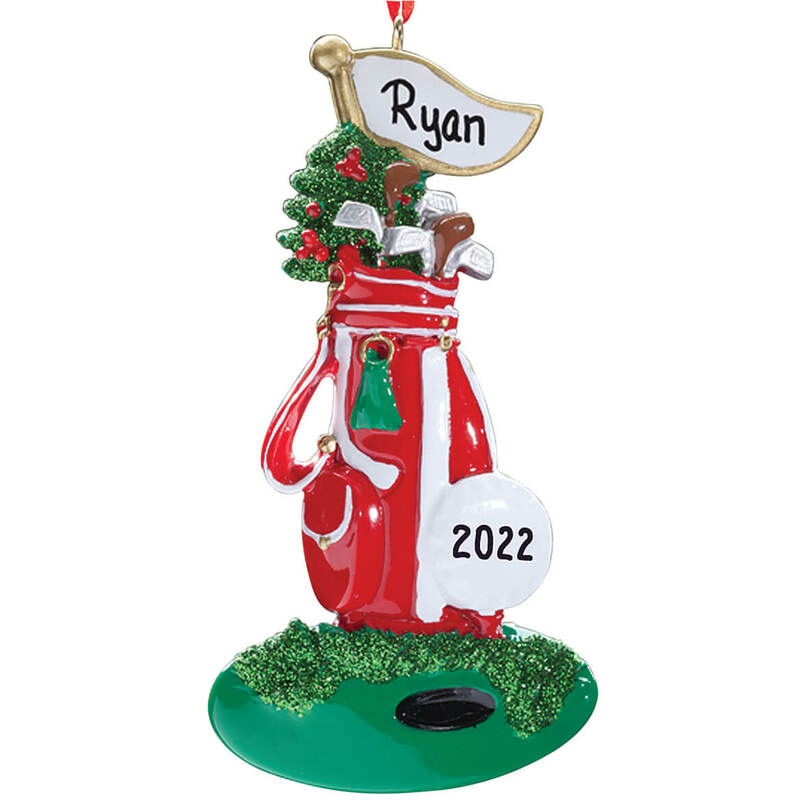 My son is an avid golfer and it's hard to find golf-related ornaments for him. 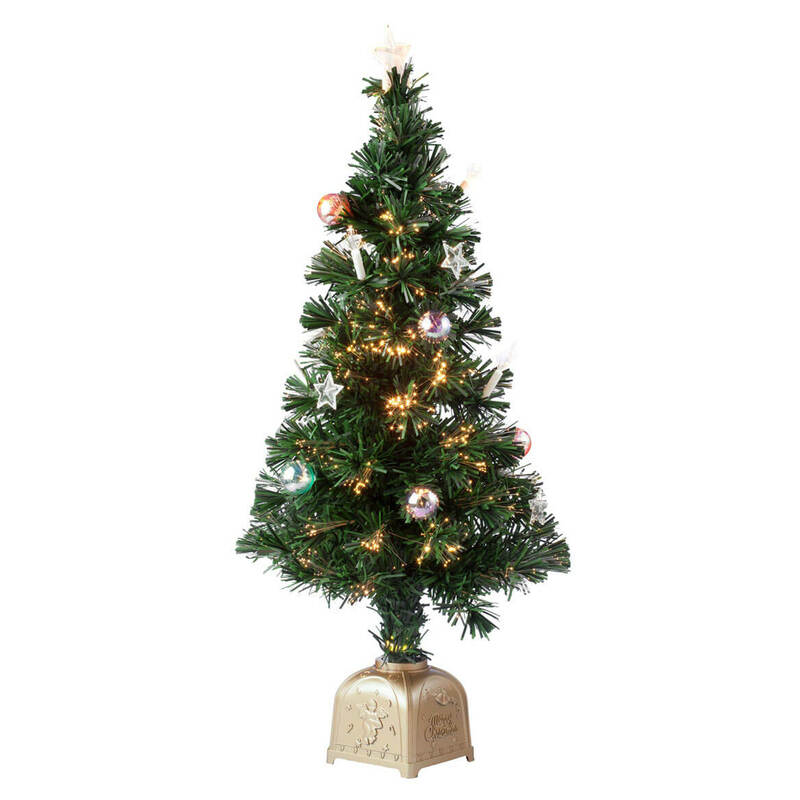 This ornament is simple and straight-forward...more manly than most! I just loved it. Perfect!! Good looking ornament and ability to personalize. He is a golfer and I like to match ornament to their likes. How do you personalize this? BEST ANSWER: Thank you for your question. Please click the drop down and select personalize. Once selected click the green personalize and it will ask for the personalization. We hope this information will be of help to you.